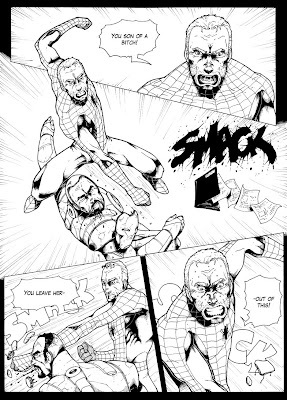 A Spider-Man sample. 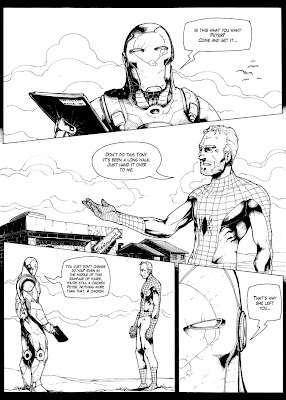 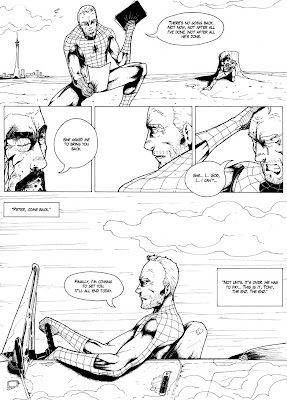 I had an original idea for a Spider-Man story set twenty years in the future, after a huge war has taken place. 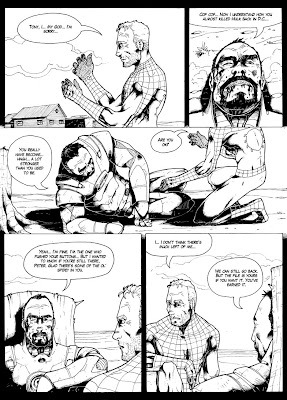 These are some pages I drew to show the mood of the story.